On Dec. 5, 2015 at the 2015 Hoosier State Press Association Foundation Better Newspaper Contest Awards Luncheon and Newsroom Seminar at the Indianapolis Marriott North, Kokomo Tribune won Second Place for General Excellence for Division 5, which comprises daily newspapers with circulations between 14,000 and 34,999. 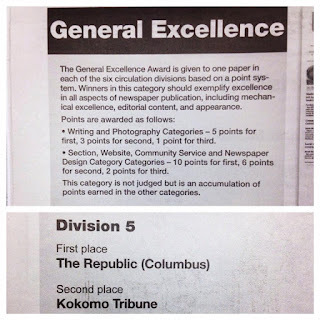 "The General Excellence Award is given to one paper in each of the six circulations divisions based on a points system. 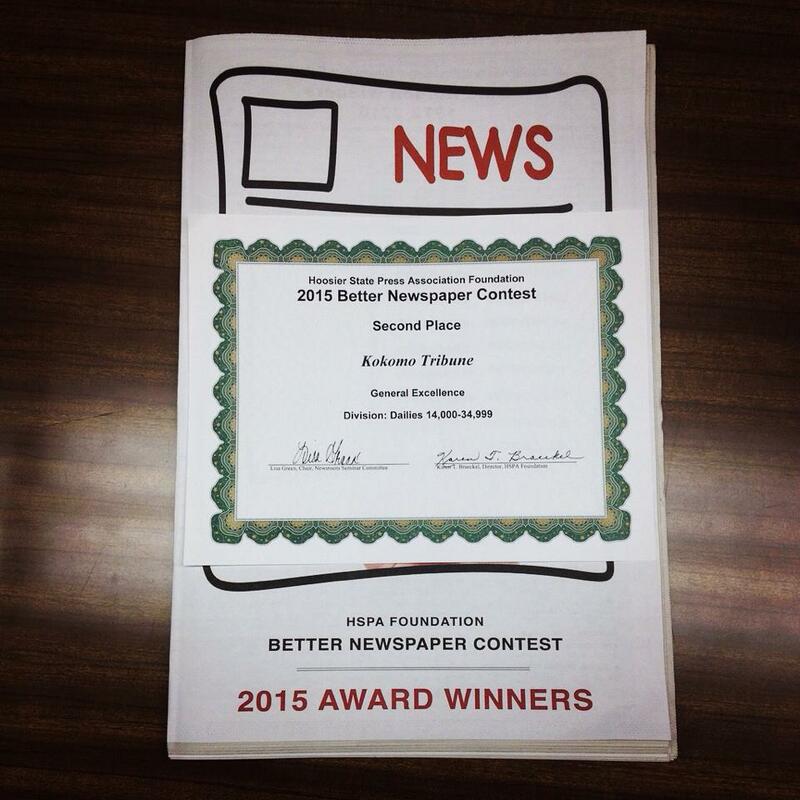 Winners in this category should exemplify excellence in all aspects of newspaper publication, including mechanical excellence, editorial content and appearance. Writing and Photography Categories - 5 points for first, 3 points for second, 1 point for third. 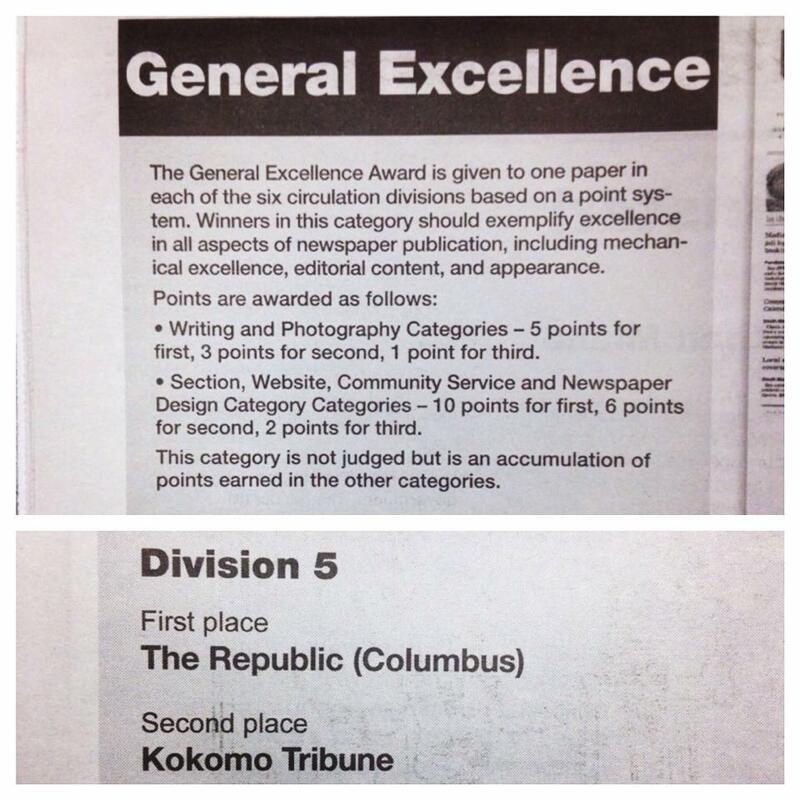 Section, Website, Community Service and Newspaper Design Category Categories - 10 points for first, 6 points for second, 2 points for third. This category is not judged but is an accumulation of points earned in the other categories."